This article originally appeared in the newsletter of the Friends of Bidston Hill in February 2016. It is reproduced here with the permission of the author. The role of Bidston Observatory has changed several times through the years. In its early decades, following the decision in the 1860s by the Mersey Docks and Harbour Board to move the Liverpool Observatory from Waterloo Dock to Bidston Hill, the focus was on astronomical measurements. These were required in order, amongst other things, to determine accurately the latitude and longitude of the site. Famous names involved included John Hartnup and his son (also John) and W.E. Plummer. Other areas of science undertaken by the Observatory included meteorology and seismology. In addition, it provided several local services, such as the calibration of accurate chronometers for port users and precise timing via the “One O’Clock Gun”. By the 1920s, the Observatory had become ‘moribund’ (to quote from the excellent book by David Cartwright) and, after the death of its then Director Plummer, the decision was made to combine its work with that of the University of Liverpool Tidal Institute, with both to be located at Bidston. The latter had been founded in 1919 on the university campus in Liverpool with Joseph Proudman as Director and Arthur Doodson as Secretary, with funding from several sources including the major Liverpool shipping companies. The formal amalgamation of the Observatory and the Tidal Institute took place in 1929. Proudman is another famous name, with Bidston Observatory later becoming known as the Proudman Oceanographic Laboratory. However, it is Arthur Doodson who is more relevant to this article. In the first year of the Tidal Institute, Doodson and Proudman began work on the problem of predicting tides, especially in shallow waters. They also undertook an evaluation of the benefits of mechanical tide prediction machines, which had been invented in the late 19th century by Lord Kelvin (William Thomson) and later developed by Edward Roberts. In effect, they were ‘analogue computers’. By 1924 Doodson had taken delivery of a brand new tide machine, the so-called ‘Bidston Kelvin machine’ thanks to the generosity of Liverpool ship-owners. 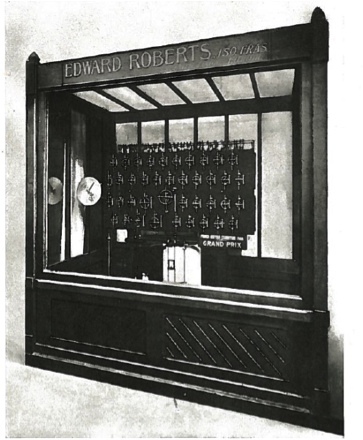 Then in 1929, with all staff now installed at Bidston, he acquired and refurbished the so-called ‘Roberts machine’ which had been constructed by Roberts in 1906. 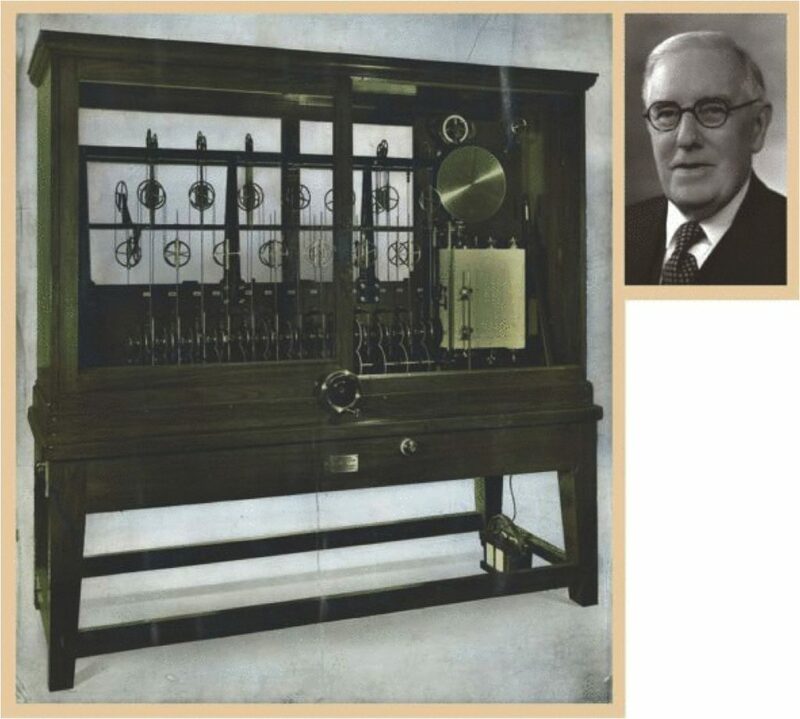 The Roberts family had used this machine as part of a business of providing tidal predictions to the government but, due to the death of Roberts’ son, were no longer able to continue. The Roberts machine was in many ways superior to the Kelvin machine, being capable of predicting 40 ‘constituents’ of the tide instead of 29. Such machines can only have a decent stab at simulating the tide at all thanks to the fact that the tide is capable of being described as the sum of individual harmonic constituents. Constituents can be thought of as cosines with particular frequencies (or periods) that are known from astronomy. So, for example, two of the most important constituents are called M2 and S2. These come from the Moon and Sun respectively with periods of 12 hours 25 minutes for M2 and 12 hours exactly for S2. These two terms are responsible for the regular twice-daily tide we have at Liverpool. However, many more constituents than these two are required to do a decent job of simulating the real tide to the accuracy required, and a machine with as many constituents as possible is highly desirable. The Roberts machine at an exhibition in Paris in 1908. This machine is now on display at the National Oceanography Centre in Liverpool. These two machines were responsible for many important achievements in the Observatory’s history. Bidston had become the undoubted centre of excellence in tidal research, both from theoretical perspectives (primarily Proudman) and on more practical bases such as the provision of tidal predictions worldwide using these machines (primarily Doodson). Doodson was excellent at devising techniques for handling numbers within complicated scientific calculations that nowadays would be undertaken by digital computers. He also became an expert in the technical design and construction of the tide prediction machines. Although important individual machines were constructed in Germany and the USA, the majority of the 33 ever made (24 machines) were designed and manufactured in the UK, in either London, Glasgow or Liverpool. The UK was the only country to export machines to other countries. The construction of the majority of the machines made after 1920 was supervised, one way or another, by Arthur Doodson. These included a series of machines made after World War II, of which one (called locally the “Doodson-Légé machine”) was to be found in the lobby of the main POL building for many years until the move of the laboratory to the Liverpool campus in 2004. The Doodson-Légé machine in the 1990s in the reception area of the Proudman Oceanographic Laboratory. The machine is now on display at the National Oceanography Centre in Liverpool. 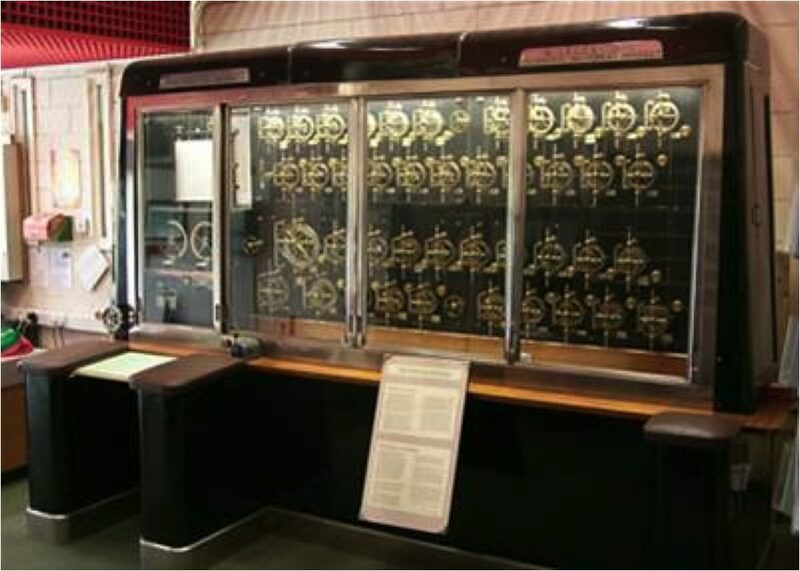 Two of the three machines at Bidston have an importance in a notable period in the Observatory’s history, in providing tidal predictions during World War II and, in particular, for the D-Day landings and in other military operations around the world. These were the Kelvin and Roberts machines, which were located in separate buildings at the Observatory during the 1940s in case of bomb damage. The Kelvin machine, Doodson’s first, is now to be found in good condition at the headquarters of the French Hydrographic Service in Brest. Its disposal by Bidston after the war was a financial requirement in order to obtain funding for the Doodson-Légé machine. The Roberts and Doodson-Légé machines are still located in Liverpool and are now owned by the Liverpool Museum. Recently, they have both been refurbished excellently and are capable of working as well as they can in order to show how things were done at Bidston, before the advent of digital computers in the 1960s saw their demise as the Observatory’s main technical assets. Both machines are now on long-term loan from the Museum to the National Oceanography Centre in Brownlow Street on the Liverpool University campus, NOC being the successor to POL and therefore the ‘spiritual home’ of the machines. They are available for viewing by the public but arrangements must be made beforehand with the NOC Administration. For anyone interested in Bidston Observatory and these machines, there is more to read. For an excellent introduction to tidal science, see Cartwight (1999), while histories of the Observatory and the people who worked there are given by LOTI (1945), Jones (1999) and Scoffield (2006). Aspects of Doodson’s career have been described by Carlsson-Hislop (2015). An ‘inventory’ (or overview) of tide prediction machines can be obtained from me, while the story of the use of the Kelvin and Roberts machines in World War II is given by Parker (2011). Carlsson-Hislop, A. 2015. Human computing practices and patronage: anti-aircraft ballistics and tidal calcuations in First World War Britain. Information and Culture: A Journal of History, 50, 70-109, doi:10.1353/lac.2015.0004. Cartwright, D.E. Tides: a scientific history. Cambridge University Press: Cambridge, 1999. 292pp. LOTI. 1945. Liverpool Observatory and Tidal Institute. Centenary Report and Annual Reports for 1944-5. Available from P.L. Woodworth. Jones, J.E. (original date 1999) From astronomy to oceanography: a brief history of Bidston Observatory. http://noc.ac.uk/f/content/downloads/2011/proudman-history.pdf. Parker, B. 2011. The tide predictions for D-Day. Physics Today, 64(9), 35-40, doi:10.1063/PT.3.1257. Available from http://scitation.aip.org/content/aip/magazine/physicstoday/article/64/9/10.1063/PT.3.1257. Scoffield, J. 2006. Bidston Observatory: The place and the people. Merseyside: Countyvise Ltd. 344pp.